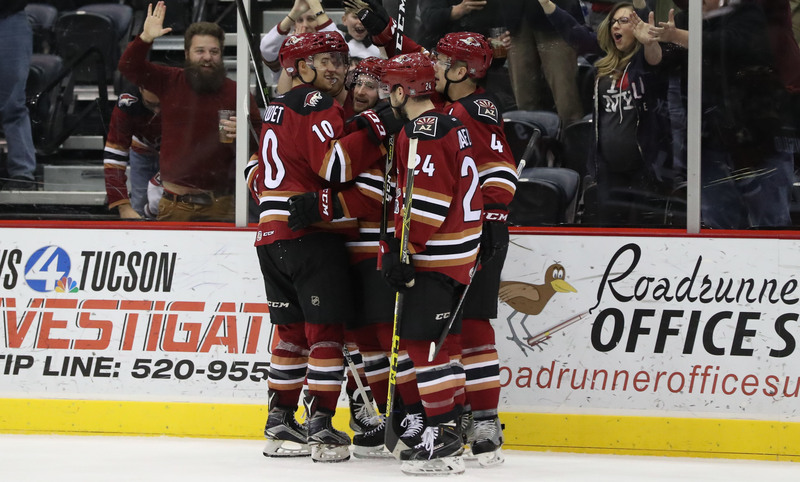 Another solid performance led the Roadrunners to a 4-1 victory over the Ontario Reign Wednesday night at Tucson Arena, extending their win streak to five games, the longest in franchise history. With the victory, Tucson also reclaimed first place in the Pacific Division, leapfrogging both Ontario and the San Jose Barracuda for the top spot in the grouping. Peters, who was making his second start in as many games, followed up his 33-save effort Monday with another fantastic performance Wednesday evening, stopping 22 of 23 shots directed his way. After a scoreless first period, Ontario got on the board first when Sean Backman gave the Reign a 1-0 lead 52 seconds into the middle frame. That, however, would be all of the scoring the Reign would receive all night. Mark Olver got the Roadrunners on the board with just under eight minutes left to play in the second when he batted a puck out of mid-air and into the net, following up on Henrik Samuelsson’s effort. With the game tied 1-1 with just over 10 minutes left to play in regulation, Olver netted his second of the evening to give the Roadrunners their first lead of the night when he redirected a Zbynek Michalek shot past Jack Campbell. Hunter Fejes registered his first career AHL goal to give Tucson a 3-1 lead when he skated into a gorgeous Zbynek Michalek pass as he fled through the neutral zone, walking in alone on Ontario’s Campbell, beating the Reign netminder with a shifty move to his backhand. Christian Fischer scored an empty-net goal with seven seconds left to play to secure a 4-1 Roadrunners victory. Zbynek Michalek (3A) led all Roadrunners players in points scored (3), Mark Olver in shots registered (3). 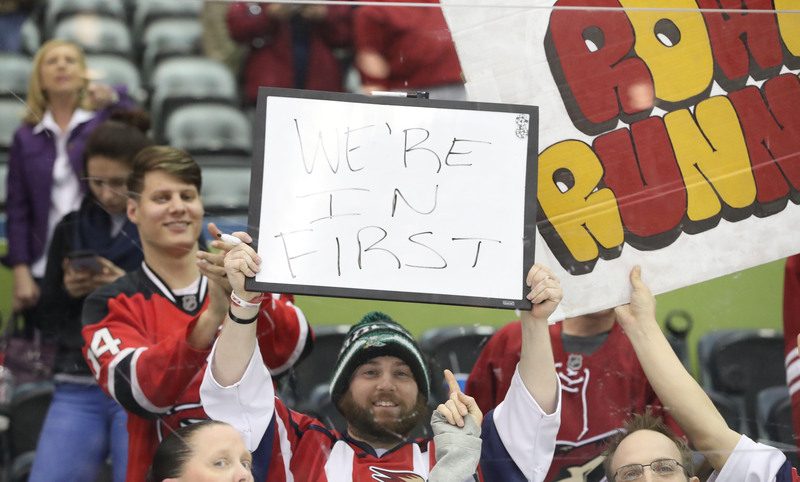 The Roadrunners now hit the road for a two-game road trip to take on the Charlotte Checkers this weekend. The team will return home to host the San Diego Gulls for the first of three games Wednesday night.